Convergence of Cultures (1) is an organism that is part of the Humanist Movement. The Movement first appeared on the 4th of May 1969, with a public presentation by its founder, Silo, known as “the Healing of Suffering”, in an outpost in the Andes called Punta de Vacas, close to the border between Argentina and Chile. Other organisms to emerge from the Humanist Movement are the Humanist Party, the Community for Human Development, World without Wars and without Violence and the World Center of Humanist Studies. In present day society coexistence between different cultures is a daily fact. But the extraordinary thing in this historical moment is that it is a moment of planetarization in which all cultures mutually approach and influence each other, as never before. It is important to distinguish between this process of growing planetarization and globalization. Widely spoken of globalization is nothing more than the traditional behavior launched by imperial centers as has occurred repeatedly in history. These empires are established, and they develop making other peoples revolve around their imposed languages, their customs, clothing, food and their codes. Finally, these imperialist structures end up generating violence and chaos as a product of their naive abuse and cultural confrontation. Today, what is needed is the creation of ambits that can rescue every culture´s ideas, beliefs and humanist attitudes, which beyond their differences, is found in the heart of different peoples and individuals. In general terms Convergence of Cultures proposes to facilitate and stimulate dialogue between cultures, to fight against discrimination and violence and to bring its proposals to all latitudes. a) To promote relationships between different cultures. By means of organizing gatherings and ambits for interchange among people from different cultures. The intention of the interchange is not only to make their own cultures, concerns and aspirations known, but to allow a true dialogue oriented towards the search for common elements that are present in the hearts of different peoples and individuals. Through different types of campaigns which allow the full expression of human rights; for the free circulation of human beings throughout the planet and for the possibility of everyone to choose the place and conditions in which they want to live; to improve the present and build a common future. Making contact with all the cultures in different countries, with the intention to disseminate and bring together people and organizations around the studies and activities of Convergence of Cultures. These guidelines aim, in general terms, to define a common model of organization and way of working. Convergence of Cultures is an organization with an international character; in this sense its members, independently of the place in which they act, feel part of a single humanizing worldwide action which is expressed in diverse yet convergent ways. Therefore the homogeneity of ideological content is fundamental in all its manifestations. Its forms of participation are open and flexible. This is an organization with a human base in which every person becomes responsible for that which they promote and construct. The basic structures of Convergence of Cultures are “base teams” that develop their activities in neighborhoods, schools, universities, workplaces, through the internet, etc. These initial teams of C.C. are coordinated in the first instance by the person who instigated their creation and who developed them following the proposed objectives in the official documents and materials of Convergence of Cultures. These “initial or promoting teams” are constituted as “Convergence of Cultures teams” when they achieve a minimum development (around 10 participants) and permanence (periodic meetings). Every year an election is carried out in which all full members of the team participate, in order to confirm or replace the initial coordinator. According to how these “CC base teams” develop, so the need for coordination with other CC teams who act in the same country arises. When there are 10 base teams, the coordinators of these teams will form a “promotion team” which calls elections to choose the first national team. People who become members of this national team will be elected by direct vote by the full members of the organism in that country every two years. This national team has the function of coordinating joint actions (campaigns, forums, gatherings, responses to conflict situations, etc), to deal with administrative and legal matters, to coordinate relations with the press and other organizations, to call elections for biannual renewal of its functions and other functions that may be useful. These functions are exclusively at the service of the whole; they respond to a mandate with precise guidelines and may be re-elected. As the convergence of cultures is the central theme of the organism there will be a quota of functions in the national team to be filled by full members of different cultures, independently of the election results. Worldwide coordination is the responsibility of a World Team elected every two years by direct vote by the full members of the organism worldwide. The World Team is responsible for the coordination of CC at an international level. It may propose coordinated actions of various magnitudes and scope. As the convergence of cultures is the central theme of the organism there will be a quota of functions in the World Team to be filled by full members of different cultures, independently of the election results. In the case of important decisions that affect the position and development of the whole, a general consultation will take place that guarantees the participation of all members of the Organism. If necessary, a worldwide and direct vote about an issue may be appealed. 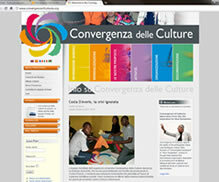 These teams meet periodically around Convergence of Cultures’ materials with the aim of clarifying themselves about the ideological aspects and about the objectives of the organism, to promote relations between different cultures, to denounce and fight against all forms of manifest or covert discrimination and to disseminate the ideas and activities of CC. The gatherings and retreats of study and practice of the Humanist Movement are also available for those who so wish to do them. There also exist CC Teams that develop their activities in a virtual way, taking advantage of the use of new technologies. growth: orientating action towards other people, towards other networks and organizations with the aim of making their proposals and tools known. communication: maintaining fluid communication and interchange with other CC teams and with other organizations with objectives with affinity with CC. formation: attending to the progressive formation of their members, making available tools for personal, cultural and social development. These studies and practices may be found in the official materials. These Convergence of Cultures teams generate links with other groups and organizations in the environment, but on no account may they establish an organizational relationship with any of them. Spokesperson: responsible to represent Convergence of Cultures in institutional activities, in front of the press and in all activities or situations where the points of view of the organism need to be presented. These functions will be elected by a vote and have a term of one year. These functions are exclusively at the service of the whole; they respond to a mandate with precise guidelines and may be re-elected. Participation is open to any person, without discrimination. Any person who coincides with the basic objectives of Convergence of Cultures may be integrated into the organization, joining as a full member or supporter collaborating with planned activities, participating in meetings of formation and capacity-building, and promoting new actions. Full members: participate in meetings, take responsibility for growth, qualify themselves based on the proposed materials and contribute to sustaining the organism with an annual membership fee. They are responsible for choosing through a direct election, the coordinator of their base team and the functions of the national and worldwide teams. They instigate the development and qualification of new teams without geographical limitations. Supporters: receive information, participate in activities and collaborate with development. 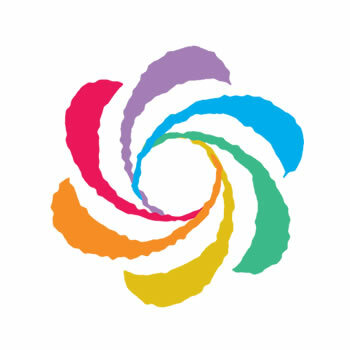 Any group, organization or association that, without losing their own identity, expresses their endorsement of the principles that inspire CC, may apply for inclusion as an "associate" of CC and thereby maintain a relationship of mutual collaboration. Convergence of Cultures counts on official and recommended materials. Manual of Personal Development for members of the Humanist Movement. Center of Studies, Punta de Vacas Park, 2009. The Humanist Document, adopted by the Humanist Party in the 2nd Congress of the HI (Moscow, 1993). Completed Works, Silo, Vol. I and II. There are also numerous contributions that members of Convergence of Cultures have made in the development of points of view and in their application to specific fields which amplify this recommended bibliography. CC is sustained by the annual membership fee of its full members. This fee will be fixed by the National Coordination Team based on the national average salary and will be collected once a year on the same date from all full members. The money collected will be distributed proportionally between the base teams, the national coordination teams and the world coordination team according to the proportion defined by the World Promotion Team. Occasional funds may be collected based on needs that may arise in which supporters of the organism can voluntarily participate. The amounts of these collections will never exceed the amount of the annual membership fee. Coherent with an organization with a human base, the funds to sustain it come from the members. According to the degree of development and growth of CC in each country and with the aim of facilitating the development of the objectives in their relationships with the environment, teams will tend to be legalized as “non-profit-making civil associations” (or however this may be called in each country). The statutes or articles of association of these “non-profit associations” will in practice reflect an organization and principles that are identical to those proposed in the official organizational materials at a world level. At the worldwide level, Convergence of Cultures will be organized as a “World Federation” that brings together the world’s CC teams. 1) Previously known as the “Center of Cultures” (1995 to 2009) and created by the Humanist Movement in 1995.